Something motivated me (and others) to order an RS Aero on the first day orders were being taken in North America. Why – when there are cheaper and more popular options? More broadly, why would anyone be among the first to adopt a new class? 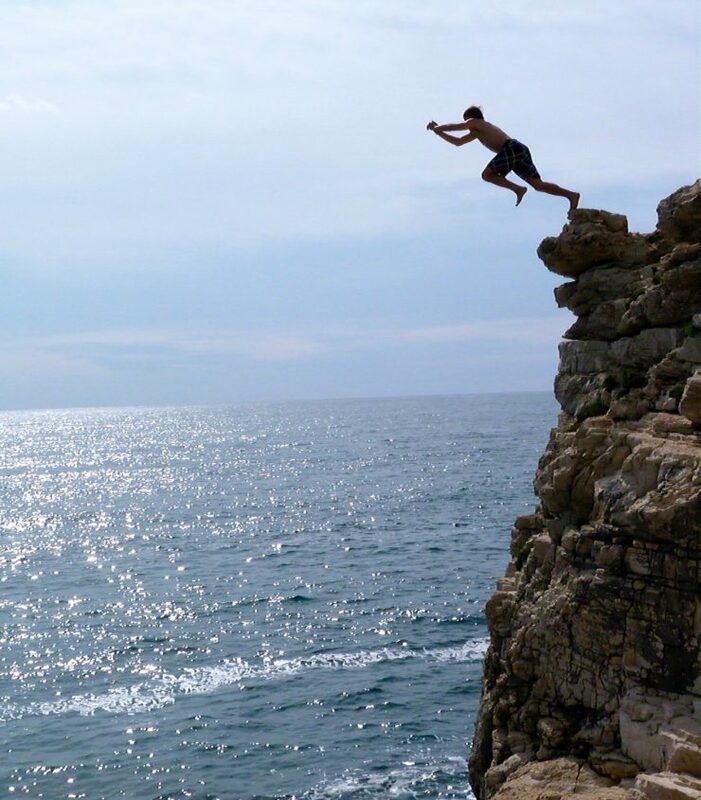 Even when a new boat is clearly superior in every way to the boat you are now sailing, why would you be the first to jump off the cliff? I can only speak for myself so here are the reasons why I decided to buy an RS Aero. 1. After 30 years of Laser racing in regattas near and far, frostbiting every winter, and every year sailing many days by myself or with a small group of friends just for fun… it was starting to get a little old. I was finding I didn’t have the same enthusiasm for many aspects of Laser sailing as I used to. I wanted to keep sailing a small singlehander but I was yearning for something more exciting, more modern. 2. Over the last decade or so, I kept reading about new singlehanded boats and was tempted to try them, but most of them seemed like a pet project of a designer or small builder, and there was little real marketing and distribution power behind them, not to mention no track record of quality boat building by the people manufacturing them. 3. I had come across RS Sailing boats on my visits to Minorca Sailing and was impressed with their products and the overall strength of the company in design, manufacturing, marketing and support, so when the RS Aero was launched in early 2014 there were reasons for me to believe that this would be THE ONE – the 21st century hiking singlehander which would appeal to sailors of all ages over a wide weight range and that a viable regatta circuit would soon develop. 5. Actually it was more than that. It seemed to me that being an early adopter of a new class would be a totally different and more exciting experience than going to the same old Laser regattas with the same old geezers year after year. Being an early adopter and helping to build a new class from the ground up would be its own reward. Not a risk, but a privilege. 6. I will be honest. Another factor that persuaded me to make the leap was my age. I was 65 years old in early 2014 and I was starting to think that if I didn’t seize the opportunity to taste the excitement of sailing a new boat and helping to build a new class, I might miss the opportunity altogether. 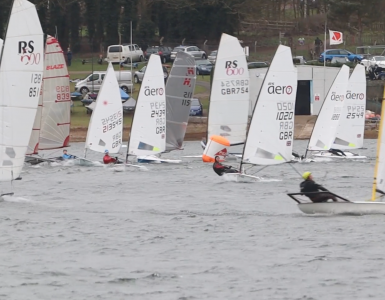 Who knows how many years I will be able to sail athletically challenging little boats like the Aero and the Laser? It was now… or maybe never. 7. So I placed my provisional order for an RS Aero (subject to sea trials) on the first day they were taking orders for North America in 2014. In the interests of complete transparency, I should reveal that I did know that I would not be the only RS Aero owner in New England because I had persuaded a couple of friends to join me in this mad endeavor. 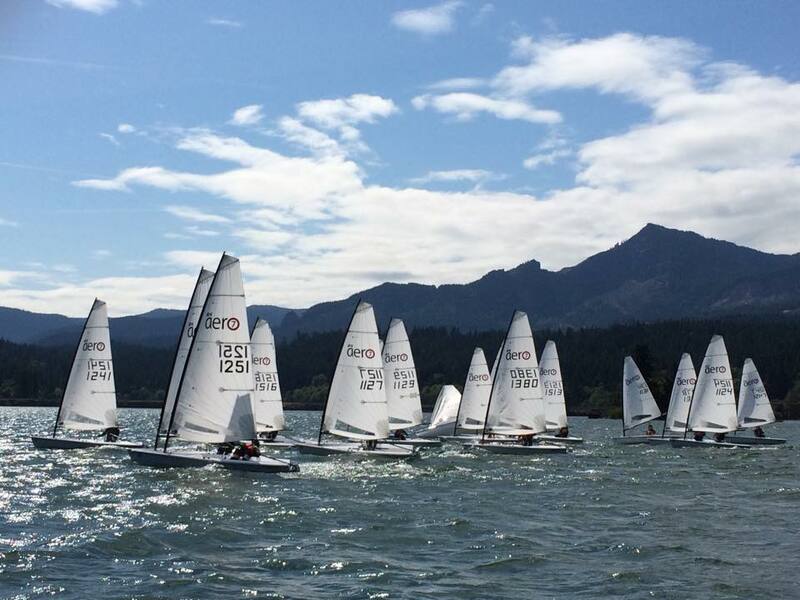 My two friends and I took delivery of our RS Aeros in May 2015 and a few weeks later raced in the first regatta for RS Aeros on the east coast – just the three of us. Then, only a few weeks later I sailed in the 21 boat RS Aero North Americans at the Columbia River Gorge in Oregon. And I was worrying I wouldn’t have anybody else to play with? Closer to home the following July we had 17 RS Aeros at the Atlantic Coast Championship in Newport RI – not to mention a write-up in Sailing World – The Next Big Thing? 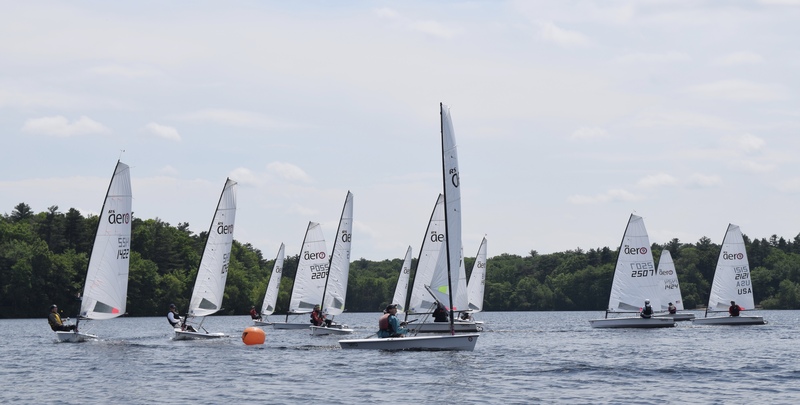 And at our humble little lake club in Massachusetts where it all started with 3 RS Aeros in 2015, this year we had 19 Aeros at our regatta in June . The real beauty of this story is that although I may have bought one of the first boats, all this growth in RS Aero sailing in New England isn’t down to me. It’s mainly because of the hard work of others, especially our class manager Marc Jacobi and master fleet builder Jim Myers, along with great support from RS Sailing and our local dealers, Boat Locker and Zim Sailing. Just because you buy the first boat doesn’t mean you will have to do all the work of fleet building. I hope my experience encourages others to take the plunge and buy an Aero. 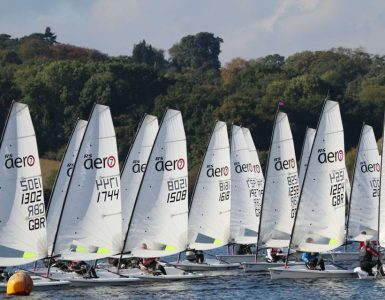 In many parts of the world now there are established RS Aero fleets and RS Aero regatta circuits, so a new Aero owner doesn’t have to worry about not having other people to sail with. If you live in one of those places – the Pacific North West, New England, Florida, Texas for example in the USA – you can still be part of helping a relatively new class continue to grow but there is zero risk that you will be on your own. On the other hand if you live in a part of the world where the Aero has not yet taken off, then please do consider being the one to get things started. I can only say it has been a rewarding experience for me and I have no regrets about it.